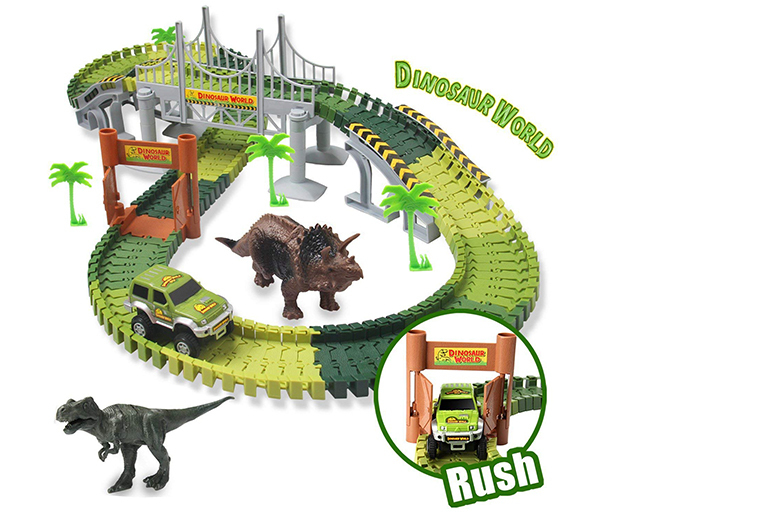 Get a Create-a-Track dino world track play set. And a battery operated ranger Jeep, bridge, gates and two dinosaur figures! With trees and stickers to decorate. Great for any dinosaur fan!